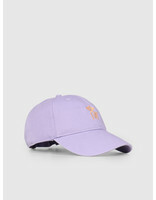 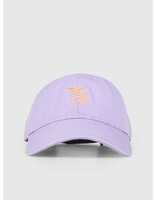 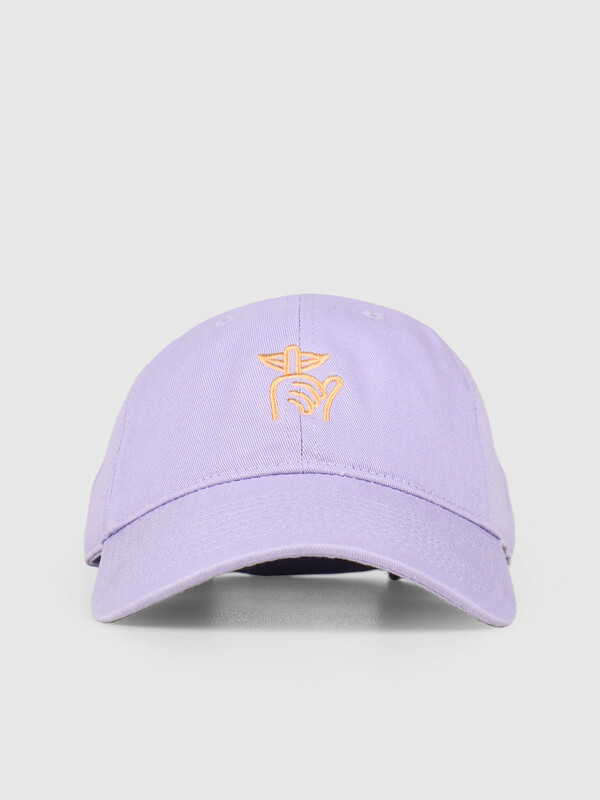 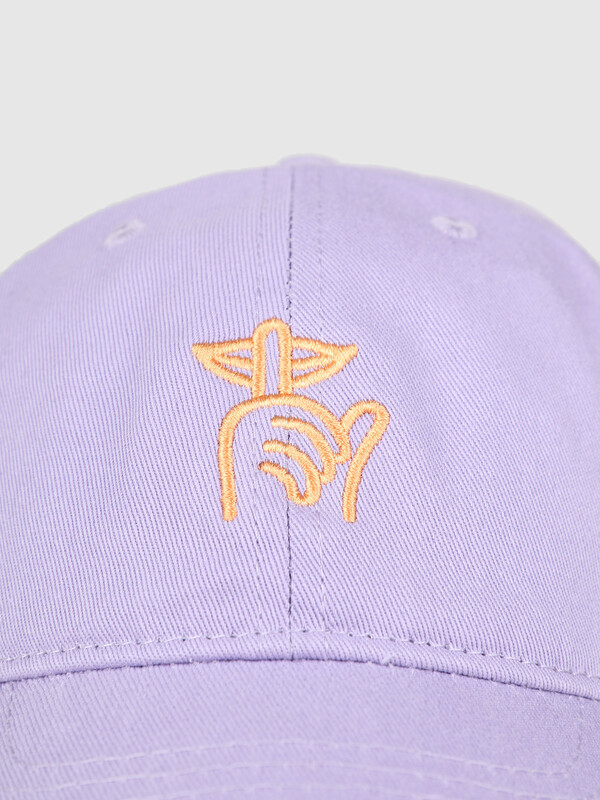 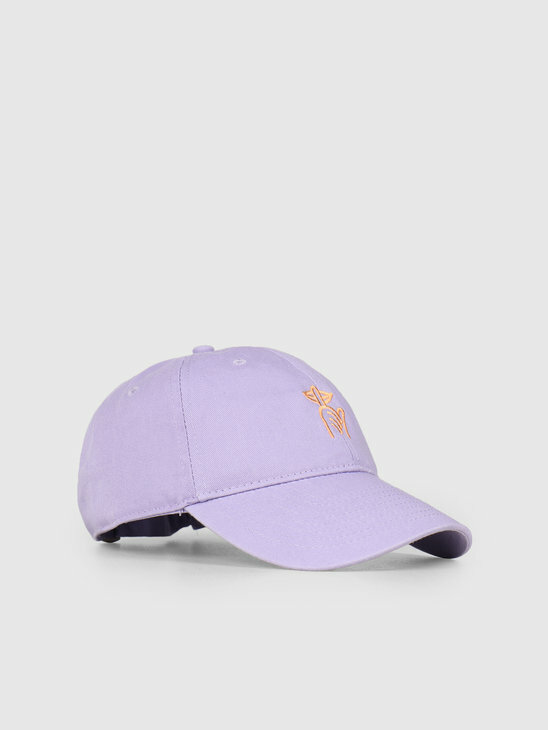 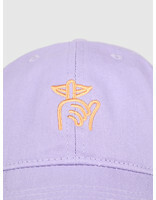 The Quiet Life Shhh Dad Hat in purple. 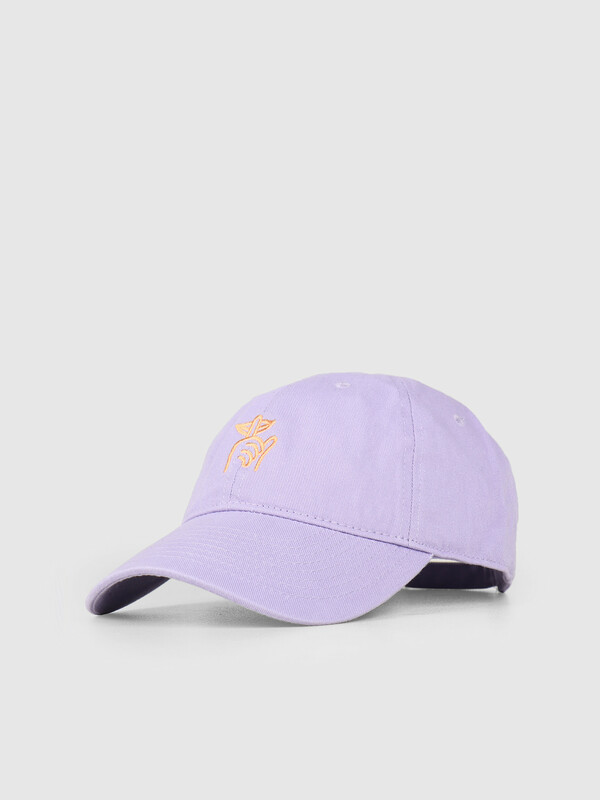 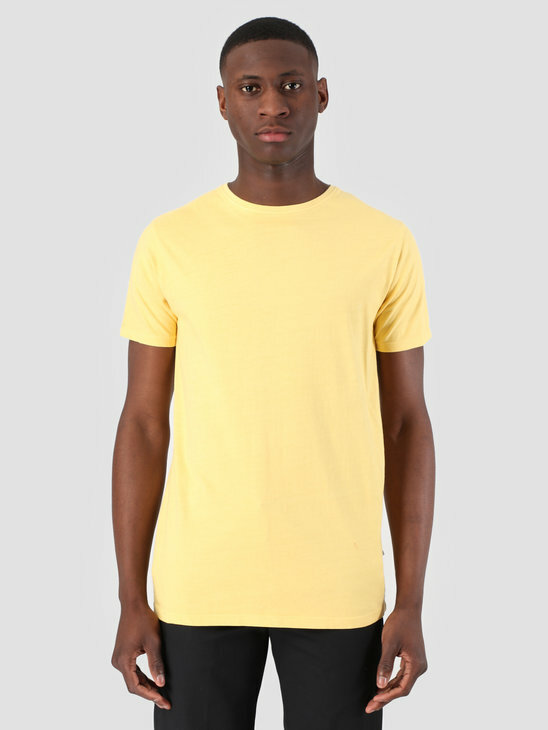 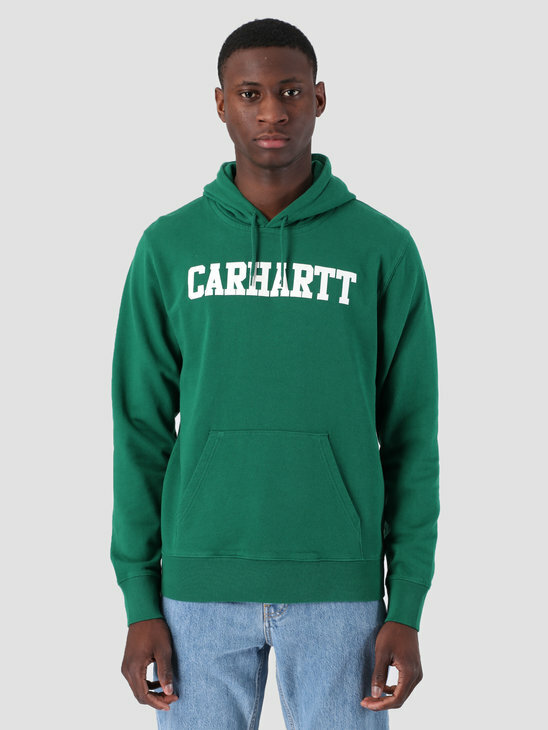 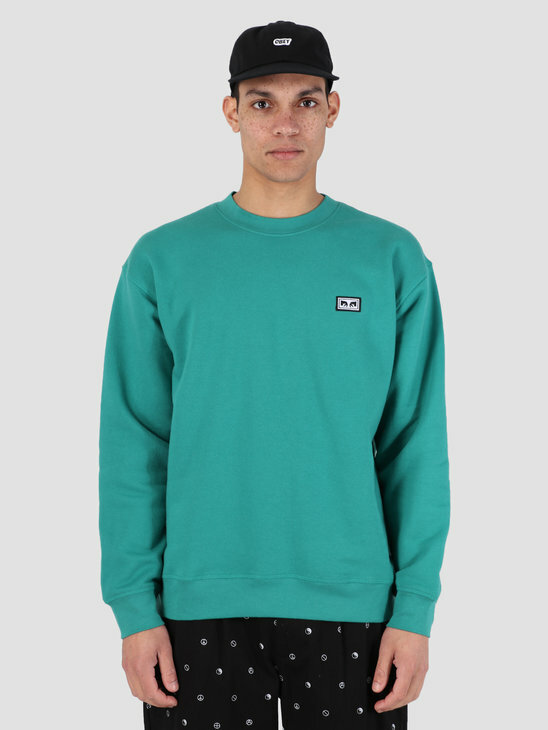 With its round brim and orange embroidery, this is a great spin-off from the classic that you can wear with anything. 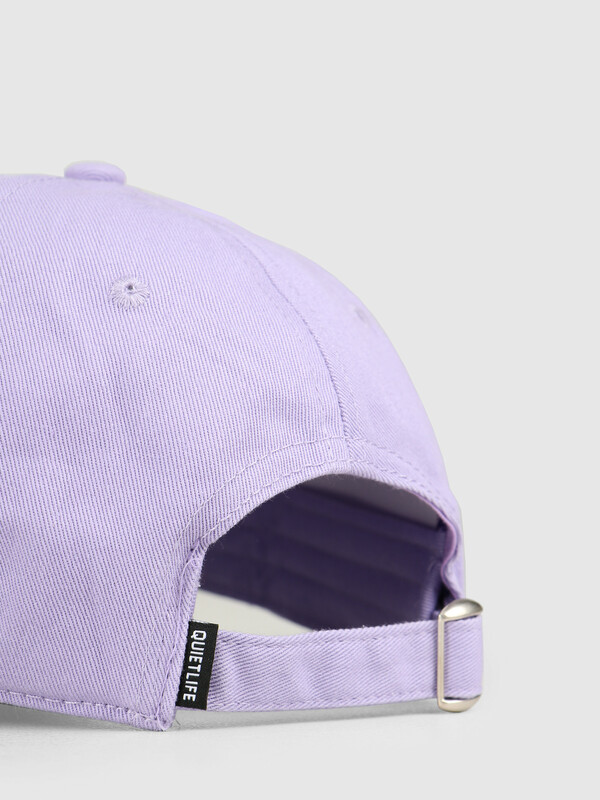 Finished with a classic strap closure and a Quiet Life logo tag.